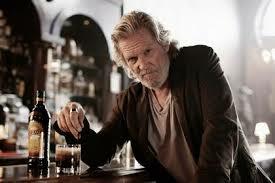 Oscar-winning actor Jeff Bridges has lent his considerable talents to rum-based liqueur brand Kahlua appearing in a short film celebrating the classic White Russian cocktail. Set in the Mexican dessert in the early 70’s Kahlua’s The White Russian short film, directed by Ivan Zacharias, tells the story of an unlikely meeting between two men from “different worlds” narrated by a man reminiscing about the encounter – Jeff Bridges. Of his decision to take part in the campaign and the resulting film, Bridges said: “The White Russian is one of the most popular classic cocktails and it’s seeing a massive revival right now, so to work with Kahlua on this project is great timing. The music track in the car on the radio is ‘El Secreto Callado’ by Diego Verdague. The track at the end of the film in the bar is Fading Blues” track by Hird, and the rest of the music was composed bespoke and played and recorded live.